Vasily Grossman’s masterpiece Life and Fate is rated by many critics as the greatest Russian novel of the twentieth century. A Writer at War is based on the notebooks in which he gathered his raw material. It depicts as never before the crushing conditions on the Eastern Front and the lives and deaths of infantrymen, tank drivers, pilots, snipers and civilians alike. Deemed unfit for service when the Germans invaded in 1941, Grossman became a special correspondent for Red Star, the Red Army newspaper. A portly novelist in his mid-thirties with no military experience, he was given a uniform and hastily taught to shoot a pistol. Remarkably, he spent three of the following four years at the front observing with a writer’s eye the most pitiless fighting ever known. Red Army soldiers came to love this awkward intellectual for his physical courage and for the honesty of his reporting. He won huge fame for his novel The People Immortal. Grossman witnessed almost all the major events on the Eastern Front: the appalling defeats and desperate retreats of 1941 when more than 3 million men were captured, the defence of Moscow and fighting in the Ukraine. In August 1942 he was posted to Stalingrad where he remained during four months of brutal street-fighting. He was present at the battle of Kursk, the largest tank engagement in history, and, as the Red Army advanced, he reached Berdichev where his worst fears about his mother and other relations were confirmed. A Jew himself, he undertook the faithful recording of Holocaust atrocities in the Ukraine, at Odessa and Majdanek as their extent dawned. His supremely powerful report ‘The Hell of Treblinka’ was quoted at the Nuremberg tribunal. A Writer at War offers the one outstanding eye-witness account of the war on the Eastern Front and perhaps the best descriptions ever of what Grossman called ‘the ruthless truth of war’. 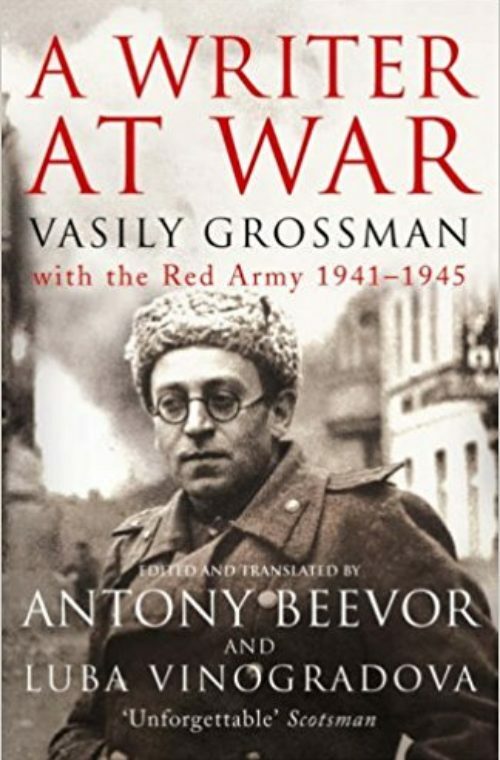 Antony Beevor first came across the notebooks of Vasily Grossmen when working on his book Stalingrad. Dr Lyubov Vinogradova, a researcher, translator and freelance journalist, studied biology at university in Moscow, as well as taking degrees in English and German. She received a PhD in microbiology in 2000. She has worked with Antony Beevor for the last fourteen years as well as with other British and American historians.